If you’re anything like us, you’ve probably been indulging in a little more rich food than normal. Even though the majority of our diet has been whole, nourishing foods, I feel like we’ve been eating really heavy. When I start feeling this way I head for a salad. 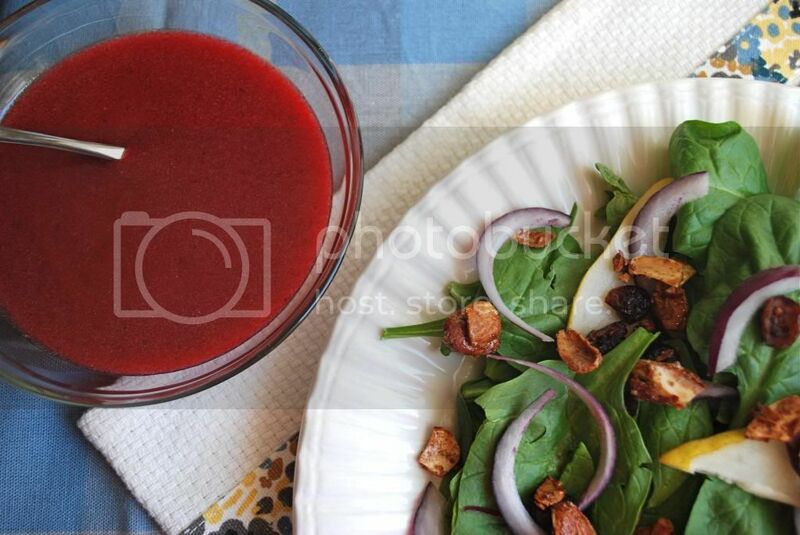 It’s raw, full of nutrients and enzymes and cleansing for the body. Today I was craving a salad. I wasn’t in the mood for my normal salad though- a giant plate of greens, chopped veggies, sauerkraut and mustard vinaigrette. Instead I wanted something a little more seasonal and fun. 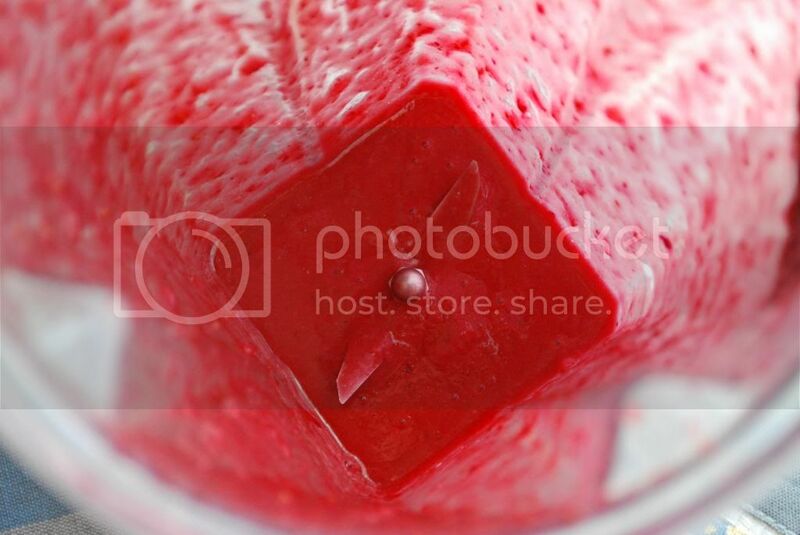 Cranberries are fun right? 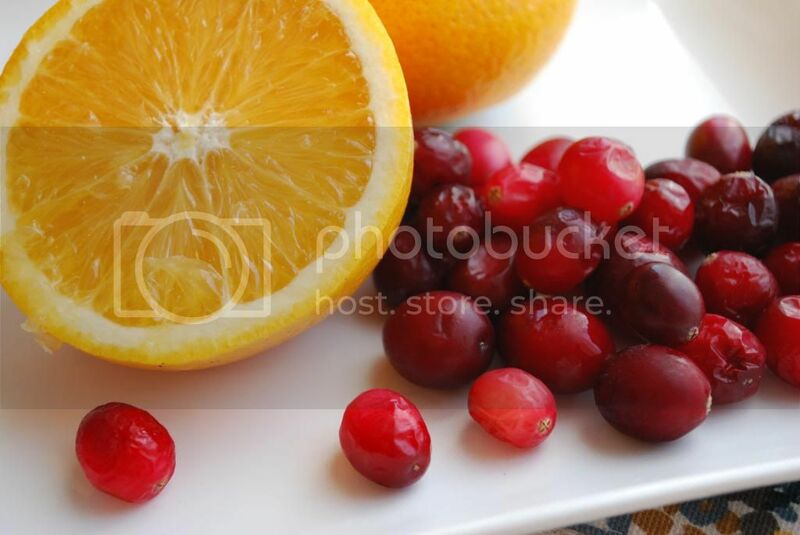 I love cranberries, especially this time of year. Stick them in just about anything (savory or sweet) and they are awesome. 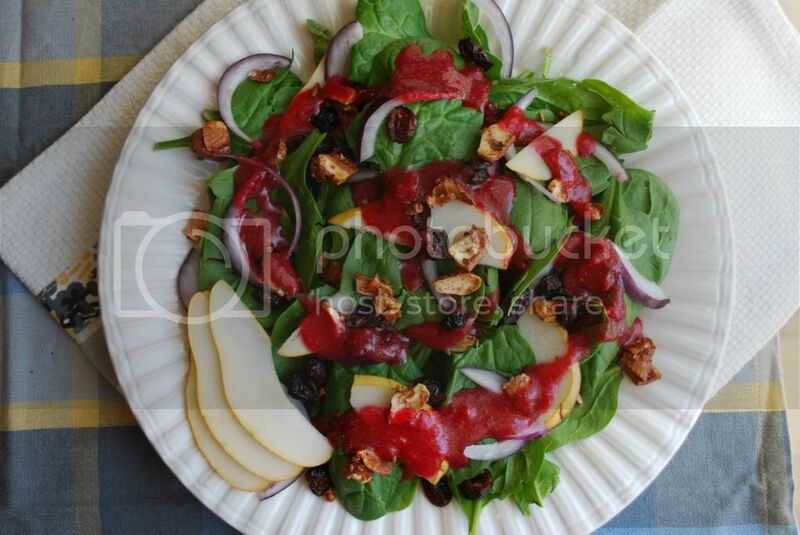 I decided that combining a cranberry vinaigrette with a spinach salad sounded fantastic. 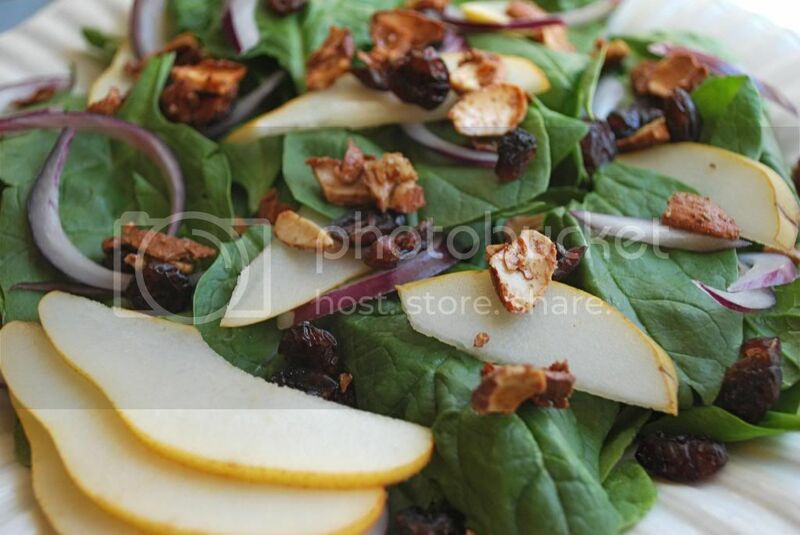 And why not top it with some honey glazed almonds, pears, dried cranberries and onion? Let’s just say I ate this twice today! The honey glazed almonds I mention above are part of my post over at Modern Alternative Kitchen today. Not only is there a tasty recipe (that makes another great homemade gift) but you'll find some great information on my favorite nut, the almond. So check it out when you're done here! 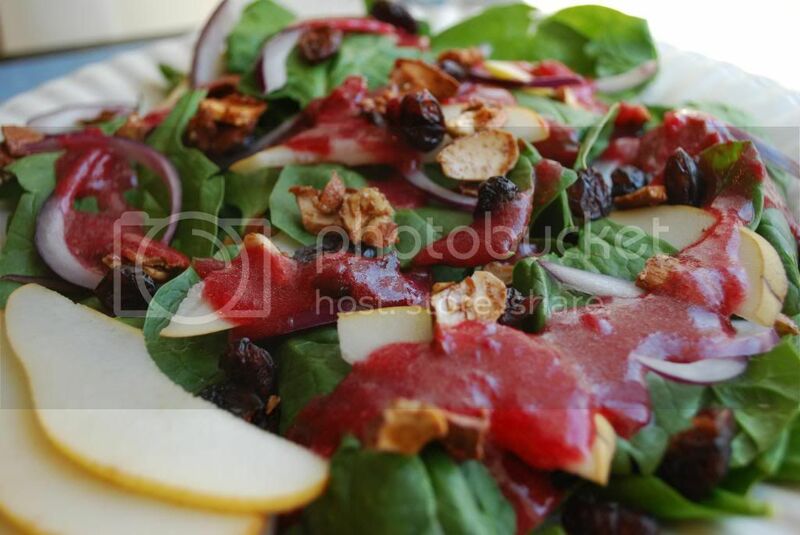 This salad would be a perfect starter for any upcoming celebrations- it's super festive right? Red, green.... This wasn't intentional, but it sure is pretty. 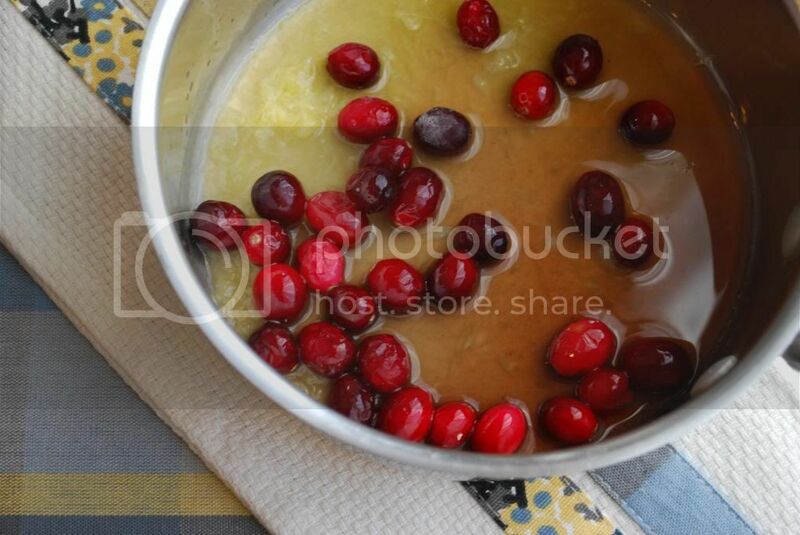 Heat cranberries, orange juice and vinegar over medium heat and cook until cranberries burst (about 5 minutes). 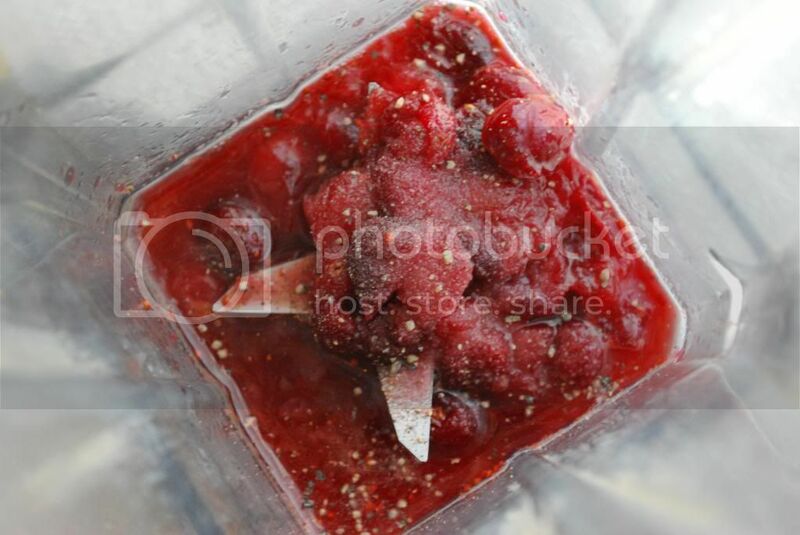 Remove from heat and allow to cool for a couple minutes. Add honey to pan and mix. Pour mixture in blender with salt, pepper and onion. Turn blender to low and slowly add olive oil. 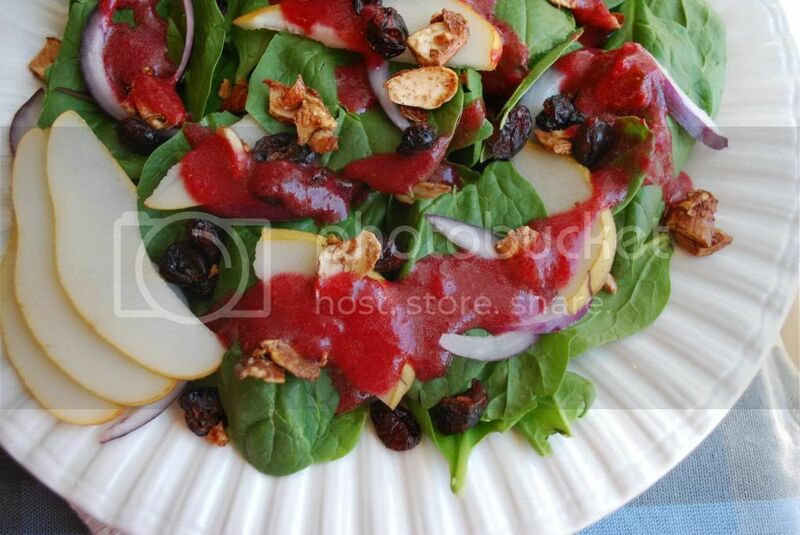 For the salad, divide spinach between two plates and top with onion, pear, cranberries and almonds. 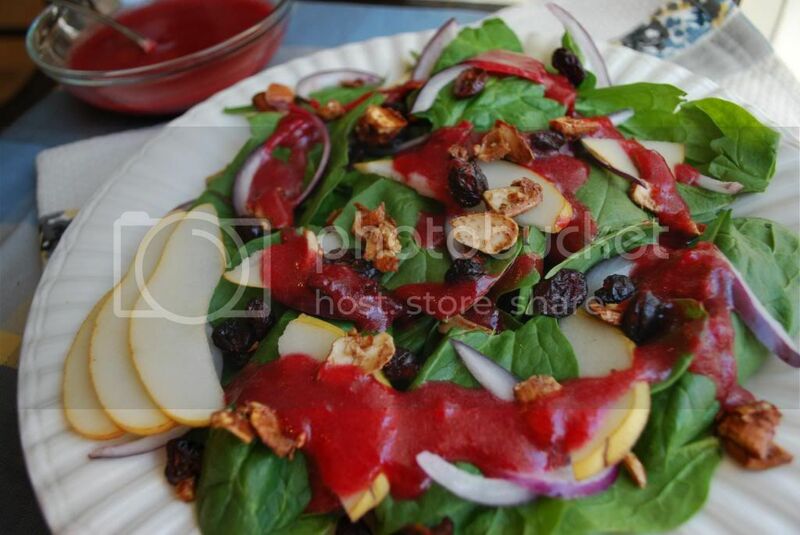 Drizzle vinaigrette over salad and enjoy. I’m thinking a cranberry spritzer would be awesome with this! Just for a little more cranberry usage. 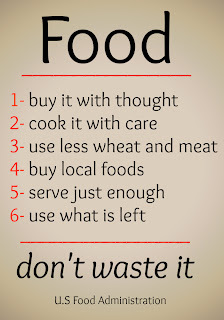 This post is shared at Whole Foods Wednesday, Real Foods Wednesday, Gluten Free Wednesday, Tasteful Tuesdays, Fresh Foods Link Up, Frugal Days, Sustainable Ways, Keep It Real Thursdays, Simple Lives Thursday, Gluten free Fridays, Foodie Friends Friday and Farm Girl Friday. What a wonderful combination of flavors. I know that my daughter and I would love this. I could eat spinach every day! 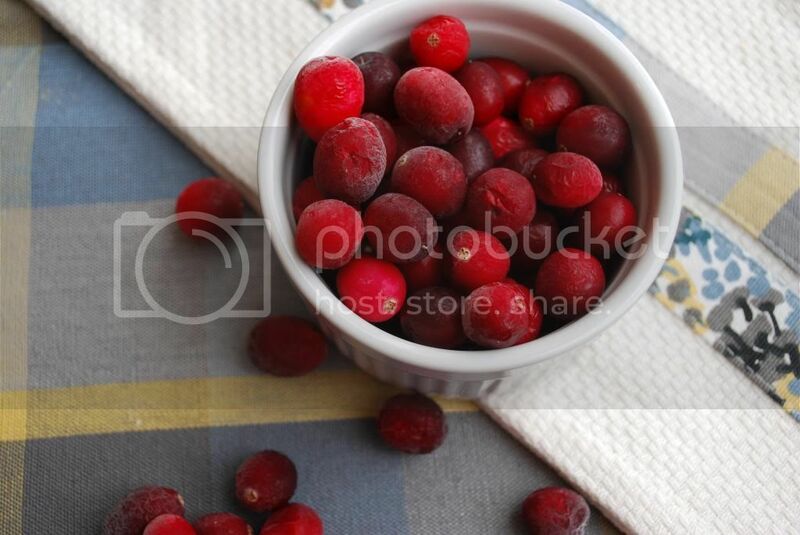 I have just now become fond of cranberries and am enjoying them. Thank you for linking up to Foodie Friends Friday. I look forward to seeing what you bring next week. Bookmarked! 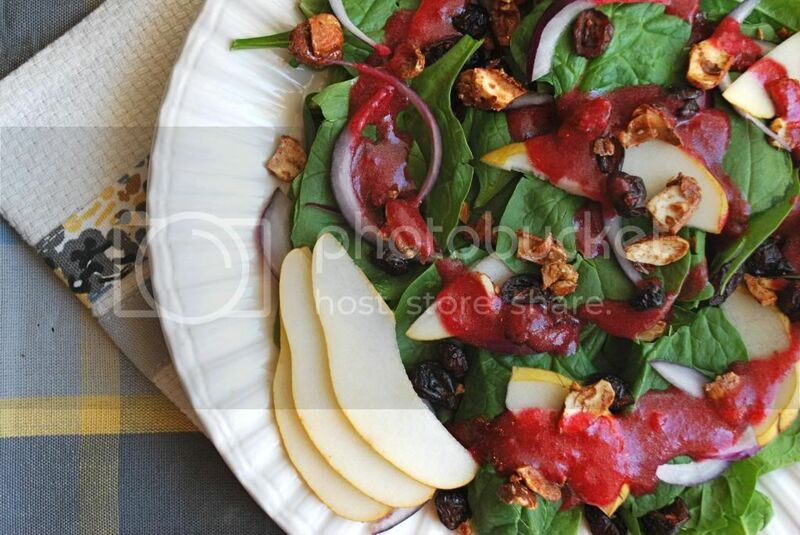 This looks great and I've got all the stuff (well as soon as I get my spinach from the farm share)! This look great. 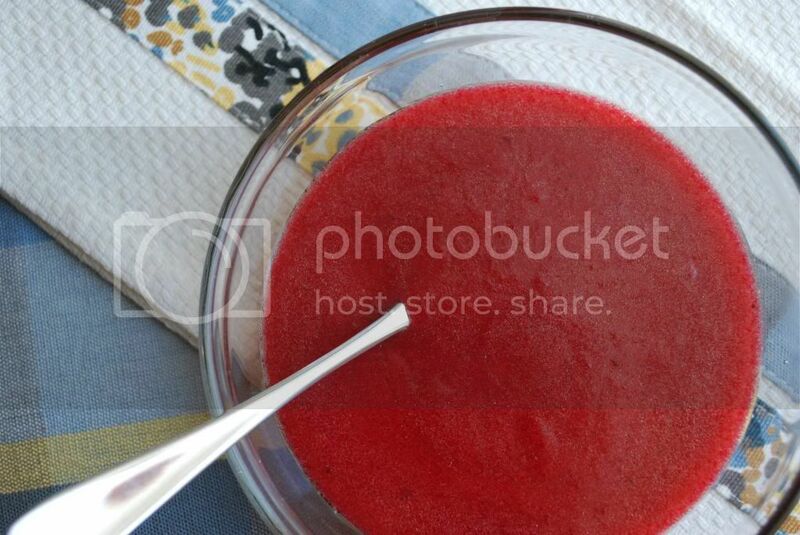 I have a recipe a lot like this one, it's my favorite and I make it for everyone. So I'm going to try your's to give them a change. The dressing souns yummy. I am your newest follower and would love for you to visit me at memoriesbythemile.com and follow me. beautiful photos, darling! and we all need more salads this time of year.